Considered to be the most curiously durable "funny bone" on the market, this best-selling, all-time favorite offers chewy goodness for moderate chewers. Available in 4 sizes for every sized dog. Give a dog a bone - an Orbee Bone! 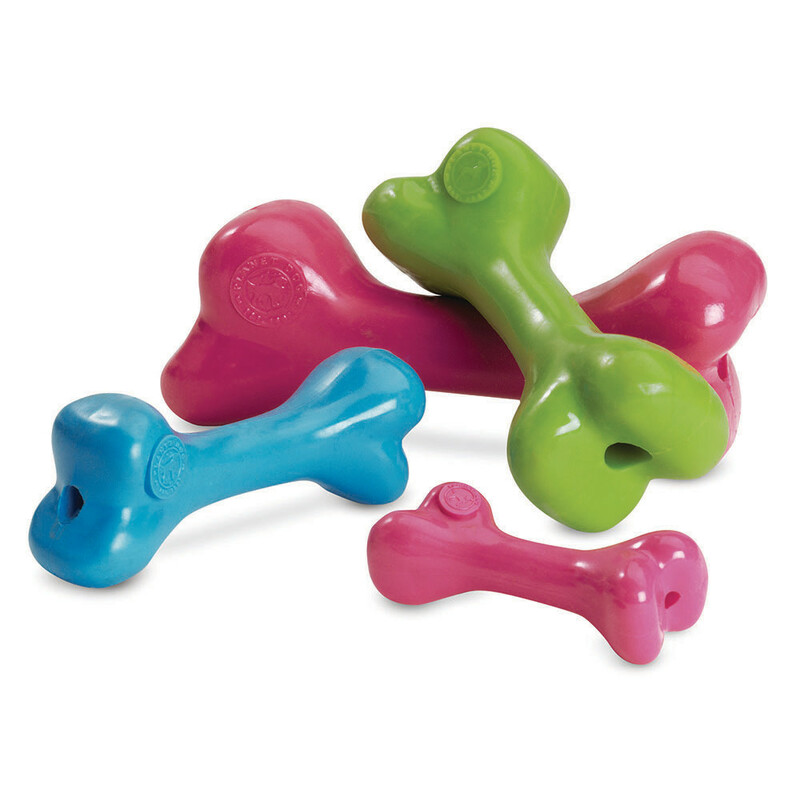 For fetching or gnawing, the Orbee Bone is the backbone of playtime fun. Rated 3 out of 5 chompers, for moderate chewers only. The 4 sizes suit every sized dog. X-Small = 3.25" long (for extra small dogs ONLY!) 100% GUARANTEED. Any time. Every time. Made in the USA.